The Irish Black/Red breed is a true American breed founded in the United States by cattleman and genetic scholar, Maurice Boney in the 1960s and 70s. Boney developed his ideal American beef industry females and mated them with three imported beef Friesian sires, thus initiating the start of the Irish Black/Red breed. After he scientifically confirmed their sound genetic foundation, he closed his herd books and officially formed the Irish Black/Red breed. Decades of performance based development followed, dictated specifically by successful line breeding. 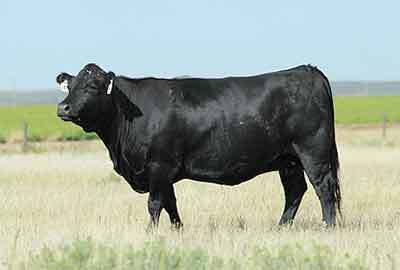 The Irish Black/Red Breed was trademarked by the Founder in the 1990's to protect the Breed's genetic future. By 2009, Irish Blacks and Irish Reds were well established across the United States and had begun to expand internationally. The genetic power of an Irish Black/Red produces a highly fertile, well balanced animal exhibiting excellent beef industry performance and conformation traits. Irish Blacks/Reds are coveted by purebred producers for their rewarding economic returns, and highly sought after by progressive commercial cattle producers for their consistent quality and their excellent return on investment. The Irish Black Cattle Association is a not for profit association organized for the benefit of its members in 2013 to collect, record and preserve the pedigrees of Irish Black/Irish Red Cattle. As the Official Breed Association of Irish Black and Irish Red Cattle, the IBCA serves as an information center for its members, their customers, and the general public on matters pertaining to the Irish Black/Red breed and the beef industry. IBCA works to promote and support the ownership of Irish Black and Irish Red Cattle, grow markets for Irish Black/Red Cattle, and further opportunities for Irish Black/Red Producers within the beef industry. Contact our Producers more information.